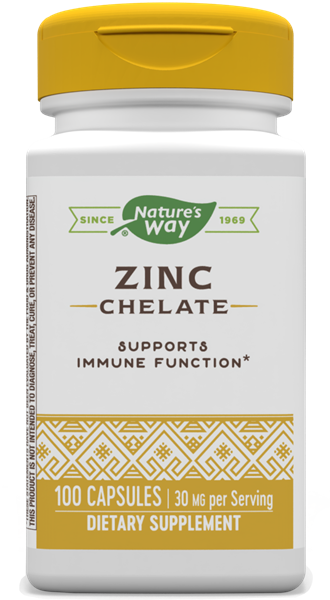 Zinc / 100 Caps - Nature's Way®. Zinc is essential for cellular reproduction and is present in all tissues, organs and secretions of the body. * It is provided in an advanced chelate complex for optimal absorption.